The uprooted people from Mu'l'lik-ku'lam were categoric in their demand to release their occupied village. 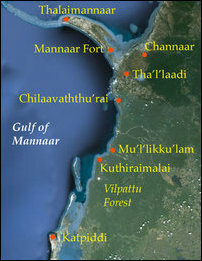 Majority of the Tamils from Mu'l'likku'lam are Catholics. Former SL Defence Secretary Gotabhaya Rajapaksa visited the village in December 2012. 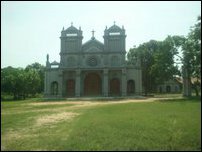 Accompanied by the Sinhala Archbishop of Colombo, Rt Rev Dr Malcolm Ranjith, the SL defence secretary had declared the entire Eezham Tamil village out of bounds for its uprooted residents. 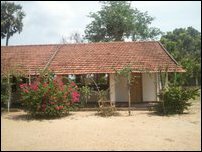 In turn, Gotabhaya was offering 450 acres, at the rate of half an acre per family, to resettle the Tamils away from the village. The villagers were told that they could visit schools and religious places but not their abandoned houses at Mu'l'likku'lam. 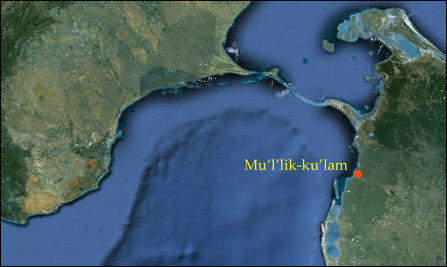 Only a few of the uprooted people had consented to accept alternative lands leaving their own lands in Mu'l'likku'lam. Nobody would be allowed to resettle within a perimeter of 750 meters of the Mu’l’likku’lam village, Gotabhaya was telling the people at that time. 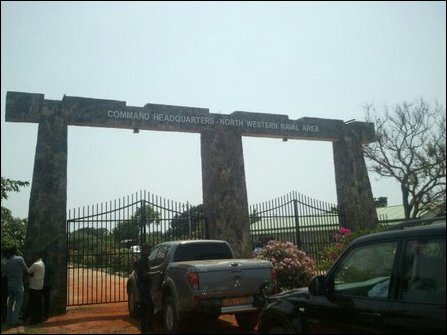 Mu'l'lik-ku'lam has now been transformed into the so-called Command Headquarters of the North Western Naval Area of the occupying Sinhala forces. 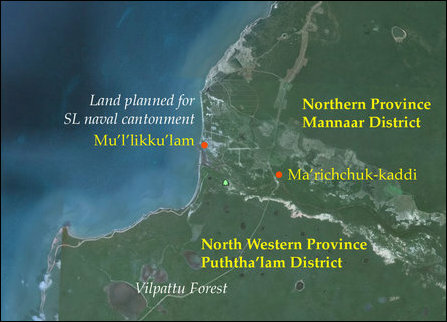 The SL Navy cantonment serves as a hub for the Sinhalicisation and Colonisation process of the land and waters of the strategic locality in the Mannaar district. 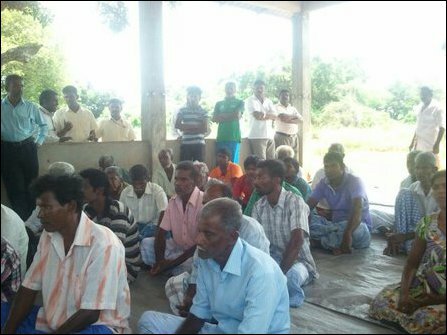 The villagers, displaced from Musali, have been temporarily staying in Peasaalai, Thaazhvup-paddu, Keeri and in Thalaimannaar and have been subjected to various harassments by the SL military throughout the last seven years. 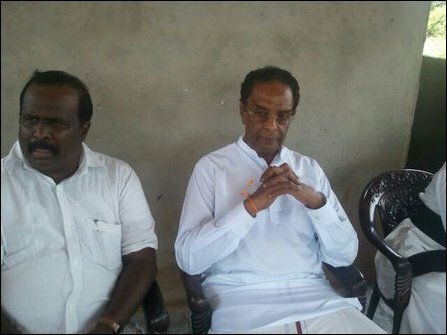 The visiting UNP Minister Swaminathan, who was accompanied by UNP parliamentarian from Vanni Hunaiz Farook, who had defected UPFA in December 2014, Tamil National Alliance parliamentarian Selvam Adaikkalanthan and Vicar General of Mannaar Diocese Fr Victor Sosai, met a section of the uprooted people who have been residing at Kaayaang-kudi and at Malang-kaadu, situated close to Mu'l'lik-ku'lam on Saturday. 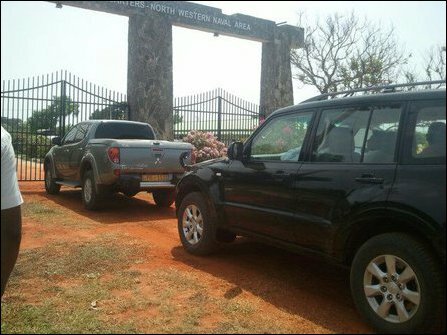 13.08.14 SL Police, intelligence officers threaten relatives of missi..
10.03.14 Muslims in Musali division protest against SL military land ..
12.12.13 SL minister Badurdeen splits Tamil speaking people in Mannaa..
09.05.13 Colombo plans settling 5,000 Sinhala families in Mannaar: TN..
06.01.13 SL Archbishop collaborates with Gotabhaya in militarization ..